Diets rich in fiber have long been associated with an array of positive outcomes, chief among them healthy hearts and arteries protected from the ravages of atherosclerosis, the accumulation of fatty plaques linked to heart attacks and strokes. Figuring out just how the fiber we eat manages to protect our heart, however, has been challenging. One clue has come from the revolution in understanding the effect the diverse microbial community that populates our guts has on our health. Our microbiome helps us process our food, particularly fiber. Perhaps these beneficial microbes somehow turned indigestible plant parts into heart health. But the link was uncertain. 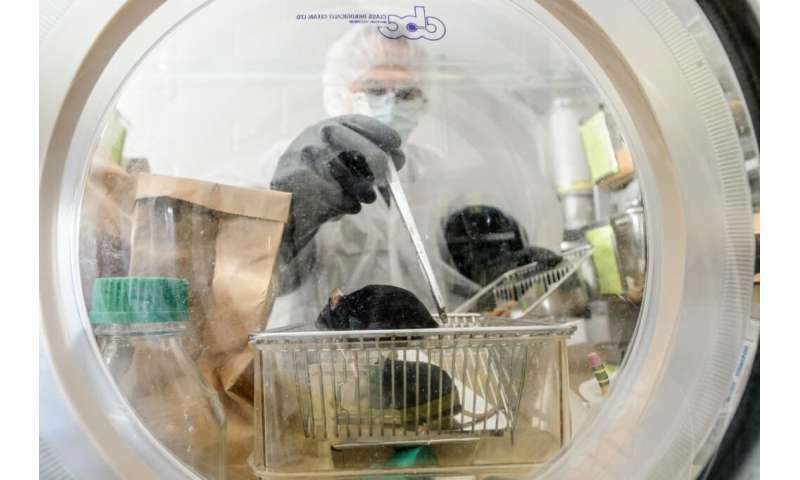 In support of a microbial connection between fiber and heart health, researchers at the University of Wisconsin-Madison have identified a particular fatty acid as the mechanism behind certain protective effects of a high-fiber diet in a mouse model. Known as butyrate, this fatty acid is produced by certain bacteria in the gut as they digest plant fiber. The scientists showed that mice that harbored the butyrate-producing bacteria Roseburia and that also ate a high-fiber diet suffered from less atherosclerosis and had reduced inflammation compared to mice without the bacteria. Mice that hosted Roseburia but that ate a low-fiber diet were not protected, because without fiber the bacteria produced little butyrate. Mice fed a slow-release form of butyrate itself were also protected from atherosclerosis, pointing to the molecule as a key arbiter of the fiber-heart link. The study was published recently in the journal Nature Microbiology by UW-Madison Professor of Bacteriology Federico Rey and postdoctoral researcher Kazuyuki Kasahara with collaborators at the Wisconsin Institute for Discovery, the University of California, Los Angeles and the University of Gothenburg in Sweden. "Atherosclerosis has historically been considered a disease of lipid metabolism," says Rey, noting that controlling the disease has usually focused on lowering the levels of cholesterol and other fats in the blood. "But over the last few decades, it's been revised to be considered a chronic inflammatory disease." So the key to reducing atherosclerosis may be reducing overall inflammation, especially in the bloodstream. Keeping inflammation down depends in part on having a strong gut barrier. "One important function of the gut is to keep our friendly bacteria at a distance," says Kasahara. When inflammatory molecules break off of beneficial bacteria and leech out of the gut and into the bloodstream, they can trigger widespread inflammation. To keep these molecules at bay, healthy gut cells form strong attachments to one another, creating an intact barrier. But that attachment can be broken up. "When that attachment gets loose, the gut becomes leakier," say Rey. Leaky guts lead to more inflammation. To study butyrate's effect on the gut and atherosclerosis, Kasahara colonized germ-free mice with specific communities of bacteria, either with or without the butyrate-producing Roseburia. Those mice were then fed diets either rich or lacking in fiber, which Roseburia processes into butyrate. The researchers found that mice hosting Roseburia had lower levels of several markers of inflammation and a reduced extent of atherosclerosis—but only if they ate a high-fiber diet. Without fiber, Roseburia levels plummeted and the mice were not protected from atherosclerosis. The researchers used mice genetically susceptible to atherosclerosis because mice do not naturally develop the disease. To determine if butyrate was the true cause of Roseburia's protective effects, Kasahara fed the fatty acid to mice without any butyrate-producing bacteria. Because pure butyrate would quickly be taken up by cells in the upper intestine, Kasahara fed mice a slow-release version that made it intact to the lower guts. The slow-release butyrate reduced the extent of fatty plaques by about a third, and reduced other markers of inflammation and atherosclerosis, suggesting that the fatty acid formed a major component of Roseburia's anti-atherosclerosis effects. Previous work indicated that humans with cardiovascular disease harbor lower levels of Roseburia and other butyrate-producing bacteria. The new study is one of the first to identify a clear cause for a previously mysterious link between dietary fiber, microbiomes and health. However, the researchers caution that the results don't point to a butyrate as a new, simple supplement for heart health—fiber from whole foods still appears to be the ideal way to support a healthy gut. At least, that's what Rey has taken away from years of studying fiber's effects on health. "My wife gives me a hard time because every bread I buy is sprouted, high-fiber, whole grains," he says. "And I eat oatmeal in the morning."